Listen to Our Interview Now! 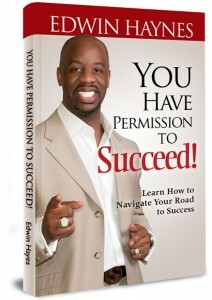 You Have Permission To Succeed takes the reader on a journey through Mr. Haynes life of having dealt with being in the music industry, discovering it was not working for him, then being in business and losing it all. 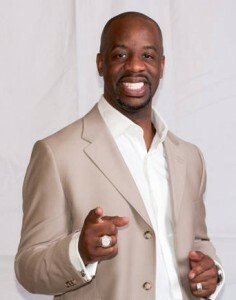 He dealt with foreclosure, bankruptcy and repossession and had to start over. Having always known that he had an entrepreneur spirit and deserved to be successful, You Have Permission To Succeed reveals to readers a blueprint if you will for starting over in life and making better choices. Readers will learn how to deal with fear, set goals, prepare for change and even how to handle those around you. This quick read provides readers with principles for success for their business and personal life. Edwin Haynes – Motivational speaker, international business consultant, corporate trainer and published author, Edwin Haynes continues to dominate his industry while empowering individuals worldwide to advance on both personal and professional levels. As a Trainer and International Business Consultant, he continues to make an indelible impression on those who he encounters daily.